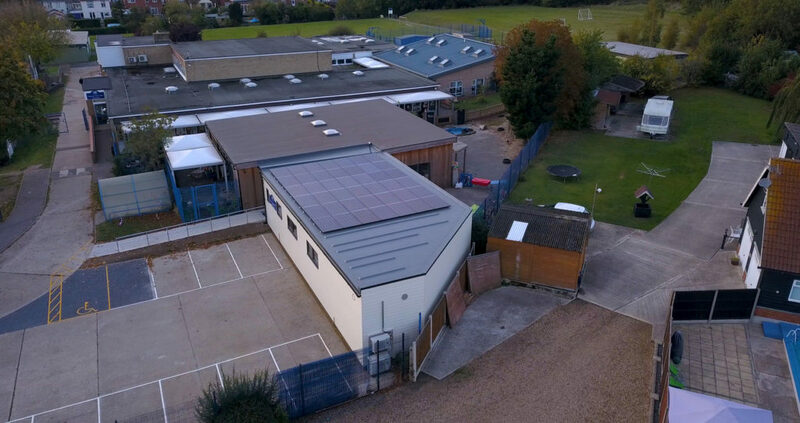 Modular smart homes and schools provider Project Etopia has completed the UK’s first modular school extension built with cost saving energy technology at Brightlingsea Primary School in Colchester, Essex. The building of modular schools comes at a crucial time with population rises putting an ever greater strain on schools, with studies revealing that one in five primary schools are over capacity. The Brightlingsea project was completed from groundwork through to the installation of its pioneering technology in just six weeks and the exterior shell came together in just eight hours. The nursery extension includes one classroom, a dining room, staff room, store room, toilet facilities, atrium and kitchen able to accommodate 30 students and two teachers — allowing Brightlingsea Primary School and Nursery to increase its yearly intake of pupils. The extension is in line with the learning space guidelines outlined by the Education and Skills Funding Agency (ESFA). Project Etopia’s modular builds offer viable alternatives to local councils who are having to react to the increasing competition for school places, especially among schools that have been rated ‘good’ or ‘outstanding’ by Ofsted. The Brightlingsea Nursery extension cost around £150,000, working out at just £1,400 per square metre, excluding foundations. The site includes all of Project Etopia’s state-of-the-art intelligent building controls and the ability to generate its own electricity. The company’s modular schools offer flexibility, because they can be extended further at any time. In the case of Brightlingsea, where space was limited, Project Etopia developed a bespoke design that reflected the specific needs of the school. The extension incorporates pioneering technology, including Daikin heating and ventilation, energy storage and energy generation, daylight mimicry lighting and intelligent building controls. This level of technology ensures that the extension will remain up-to-date even as modern technology evolves. Project Etopia classifies the build as ‘Energy+’, the firm’s own standard in revolutionary energy technology for buildings. With this, the school can store the additional energy it creates to be used at a later date, reducing costs to the school in the long-term. 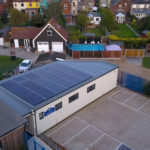 Since the completion of Brightlingsea Infant School, Project Etopia has entered discussions to construct a stackable classroom unit in collaboration with Mitie and Essex County Council. Joseph Daniels, CEO of Project Etopia, added: “With the population increasing at such a rapid rate it is no surprise that schools are being put under pressure with large pupil numbers in classrooms and the best schools always ending up oversubscribed. “Project Etopia can build units from scratch in less time than a school’s summer holiday, allowing local governments to confront school oversubscriptions head on and with very little disruption to teachers and pupils. “Schools shouldn’t be an active building site for over a year, distracting from education when modular builds can provide state-of-the-art learning environments with minimal impact.